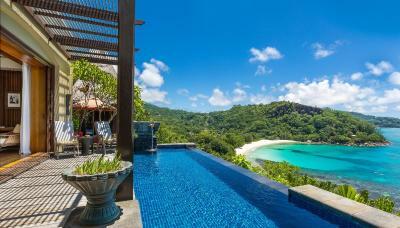 Lock in a great price for MAIA Luxury Resort & Spa Seychelles – rated 9.4 by recent guests! 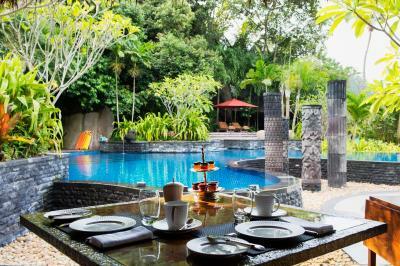 It's an excellent property with the best service. 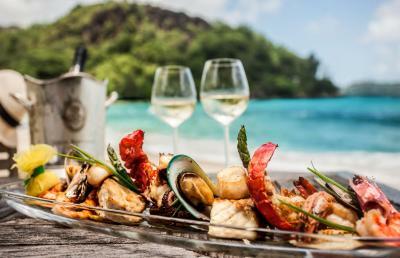 The All inclusive package is unique. The butler service is amazing. The views are out of the world. The best resort we have been to. As always the location and butler are perfect. 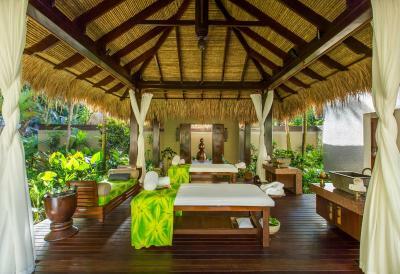 The spa is high quality treatments. 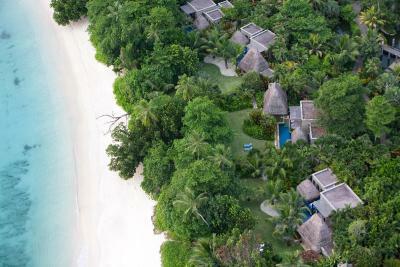 Beautiful and cozy villas, wonderful beach, top-notch service, amazing food (especially seafood!). 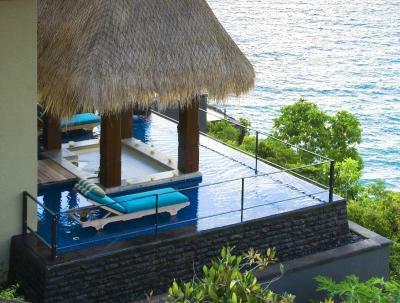 A true paradise experience! Lokacija izvrsna s pogledom koji oduzima dah. Opuštajući ambijent i osoblje zaustavljaju vrijeme. Izuzetno dobro zelenilom i položajem vila osmišljena privatnost gostiju. Güler yüzlü ve işini içten gelerek yapan çok iyi yetiştirilmiş personel ! Odalar çok temiz ve konforlu. Yemekler tek kelimeyle hatika! Великолепный отель! Рекомендую всем, кто любит природу и тихий, спокойный отдых. Огромное спасибо батлерам Вик и Сая и всему персоналу ресторана. 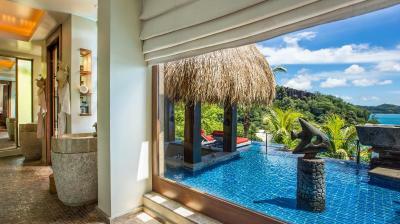 Eine tolle Villa mit spektakulärem Blick, eine sehr schöne Anlage, hervorragendes Essen, vor allem aber ein immer aufmerksames und sehr freundliches Personal haben unseren Urlaub zu einem tollen Erlebnis gemacht. Nehemaia sei an dieser Stelle für seine zurückhaltende und äußerst zuvorkommende Art besonders erwähnt! 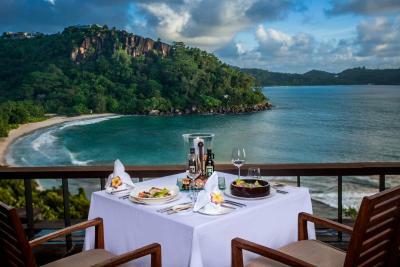 Wer absolute Ruhe, Natur pur, eine traumhafte Lage und den excellenten Service eines persönlichen Butlers sucht, ist im Maia bestens aufgehoben. Wir hatten in Jay eine wahre Perle als Butler, der sich liebevoll um uns kümmerte und uns jeglichen Wunsch sofort erfüllte. 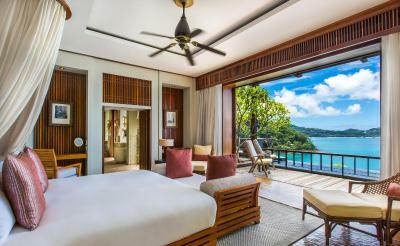 Wir würden auf jeden Fall eine Ocean View Villa empfehlen. Traumhafte Aussichten und Sonnenuntergänge. Den weißen, pudrigen Strand hatten wir fast für uns alleine. Egal was man unternehmen möchte, es wird alles optimal organisiert. 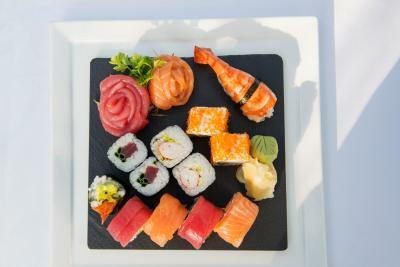 Wir genossen es auch sehr, das Frühstück auf der Terrasse unserer Villa von Jay serviert zu bekommen. MAIA Luxury Resort & Spa Seychelles This rating is a reflection of how the property compares to the industry standard when it comes to price, facilities and services available. It's based on a self-evaluation by the property. Use this rating to help choose your stay! 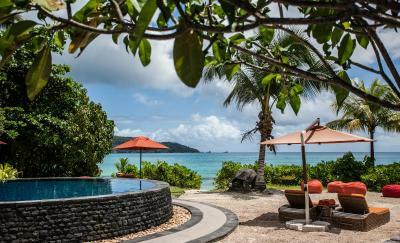 One of our top picks in Anse Boileau.Surrounded by award-winning landscaped gardens, this luxurious resort on Mahe features air-conditioned villas overlooking the Indian Ocean. 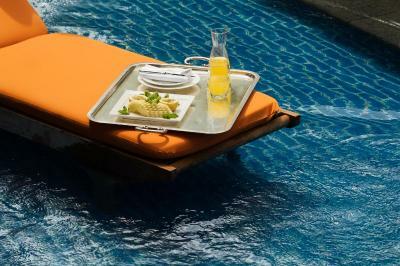 The hotel has a gourmet restaurant and a wellness center. 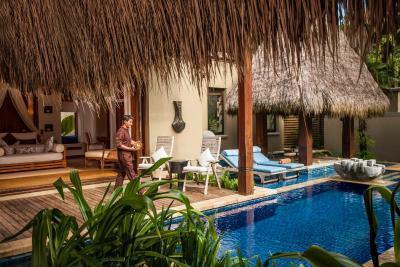 Each of MAIA Luxury Resort's air-conditioned villas offers a personalized dedicated butler, a private infinity swimming pool, free WiFi, a flat-screen TV and an Apple AirPort Express. 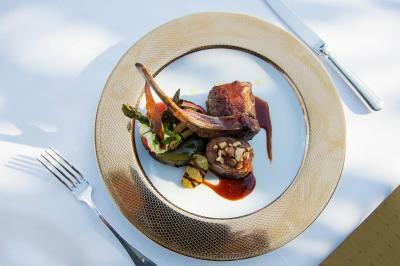 They have a kitchenette, maxi-sized Hermès amenities, an outdoor gazebo and a sun deck. 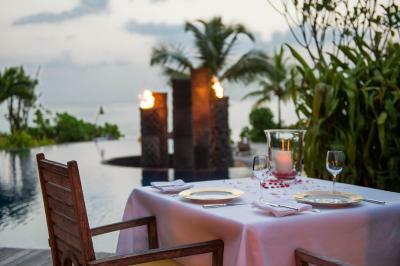 The MAIA beyond all-inclusive experience follows a 'Whenever, Wherever, Whatever' dining concept, where guests can enjoy a candle-lit dinner on the beach or a private BBQ on the terrace of their villa. 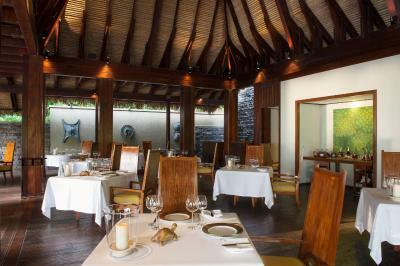 Tec Tec restaurant serves gourmet cuisine, and is flexible to prepare dishes outside of set dining hours. 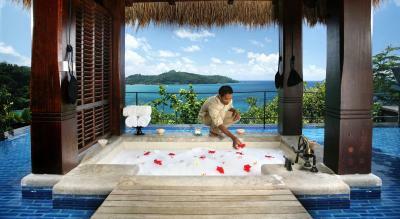 Massage treatments in the spa as well as tropical-flower baths can be arranged by a butler. 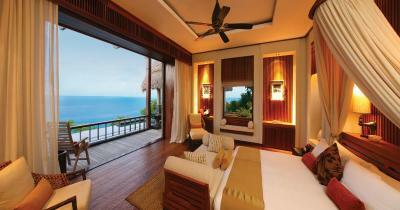 Guests can also enjoy yoga, qi gong, or work out in the techno-gym. 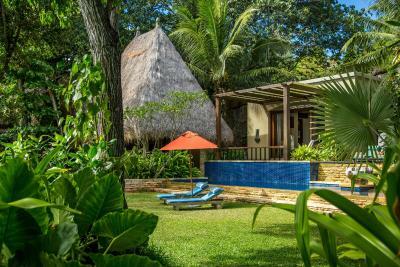 Other activities include scuba diving, snorkeling, kayaking and standup paddle boards. 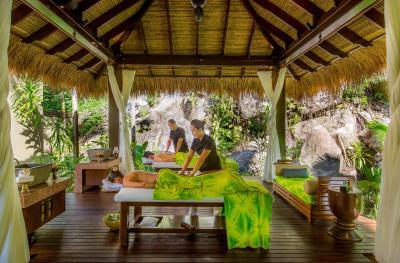 A special children's program is available which covers excursions, mini spa treatments and swimming lessons. 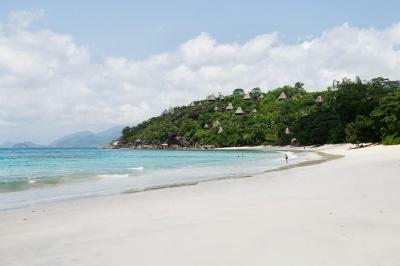 MAIA Luxury Resort & Spa is located 12 mi from the Victoria and 6.2 mi from Seychelles International Airport. Free parking is available at this resort. 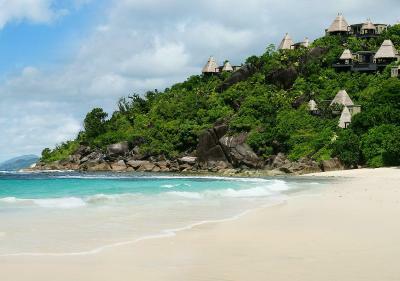 When would you like to stay at MAIA Luxury Resort & Spa Seychelles? 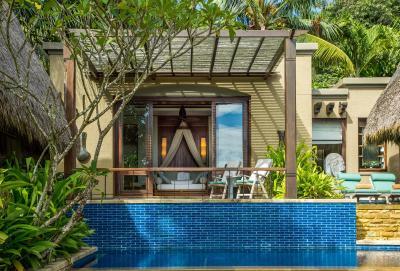 Featuring a private infinity pool overlooking the Indian Ocean, this villa has a panoramic porch and a sitting area with a day bed, and is surrounded by lush vegetation. 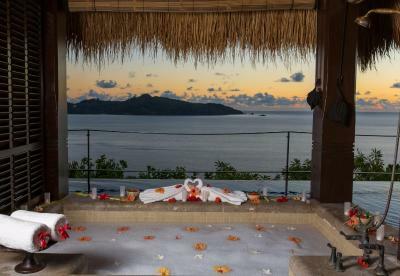 It has an outdoor bathtub and a glass-walled bathroom with views of the ocean. Modern features include a flat-screen TV and Apple AirPort Express. 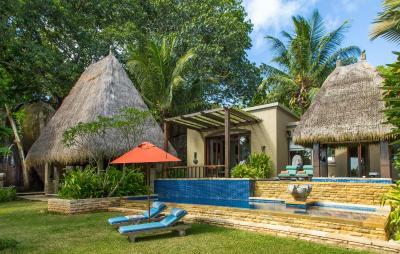 Featuring a private infinity pool overlooking the Indian Ocean, this villa is in a secluded area overlooking both Anse Boileau Bay and Anse Louis Bay. 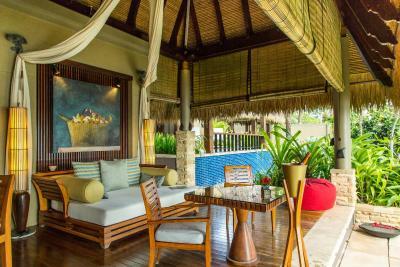 It has a private porch and a lounge with a day bed, and is surrounded by lush vegetation. 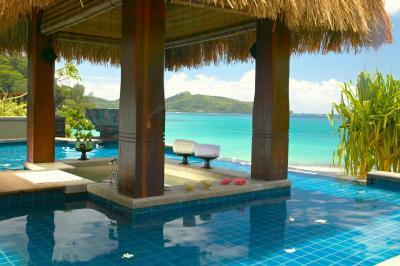 It has an outdoor bathtub and a glass-walled bathroom featuring views of the ocean. Modern features include a flat-screen TV and an Apple AirPort Express. 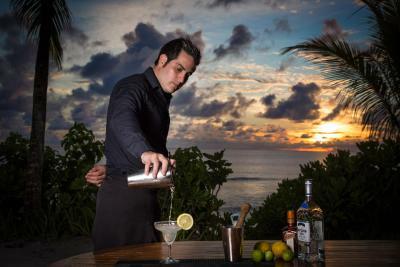 House Rules MAIA Luxury Resort & Spa Seychelles takes special requests – add in the next step! 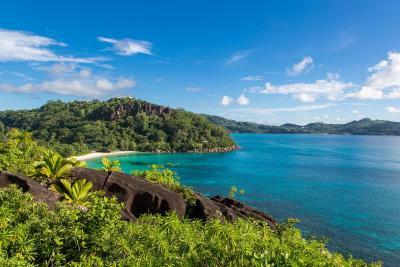 MAIA Luxury Resort &amp; Spa Seychelles accepts these cards and reserves the right to temporarily hold an amount prior to arrival. 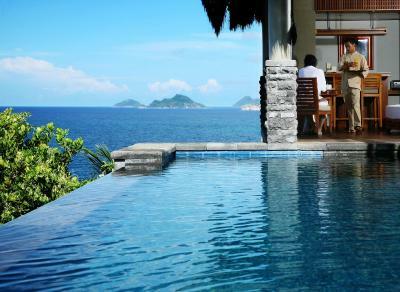 MAIA Luxury Resort & Spa Seychelles accepts these cards and reserves the right to temporarily hold an amount prior to arrival. The mandatory Christmas Eve gala dinner on 24 December costs EUR 390 per adult and EUR 195 per child between 5 and 18 years old. The mandatory New Year's Eve gala dinner on 31 December costs EUR 390 per adult and EUR 195 per child between 5 and 18 years old. 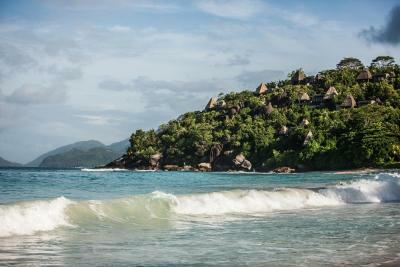 Please inform MAIA Luxury Resort & Spa Seychelles of your expected arrival time in advance. You can use the Special Requests box when booking, or contact the property directly using the contact details in your confirmation. This time when i visit the property after 2 years many things were change. First, the beach at the property become more famous so many people are coming there to enjoy at your backyard and you don’t have privacy at the villa. 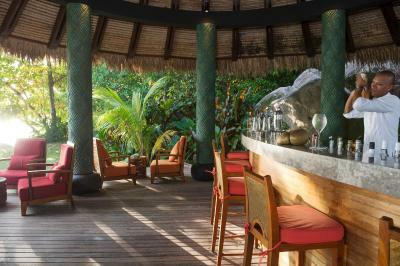 Second, the all inclusive service which they providing become low quality specialy about the drinks and water. Finally, i recommend if they can do some changes in restaurants’ menu as it’s been the same for long time. Service could have been better bed was uncomfortable (two single mattresses wrapped together to make it look like a king bed). Not great value for money. I don't recommend taking excursions from the hotel - it's a poor value for money. Better contact one of the local tour agents and they will organize activities that are more fun and literally ten times cheaper.